Now available from Wilson Industrial Linings , spray-on polyurethane linings offer a durable alternative for the protection of horse trucks and floats. 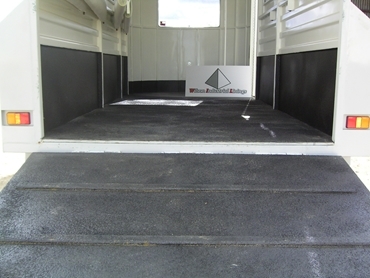 This polyurethane lining is mechanically bonded to the substrate in the horse truck or float, and therefore becomes a permanent lining that will not lift, crack, tear, or become brittle, and will completely seal all corners and walls for a water tight, non-slip finish. With its lightweight finish, this polyurethane lining offers practicality without compromising on strength. Polyurethane lining offers a fast and efficient solution for protecting and enhancing valuable assets.